Believe it or not, the act of forgiving is more about you than it is the person who's wronged you. 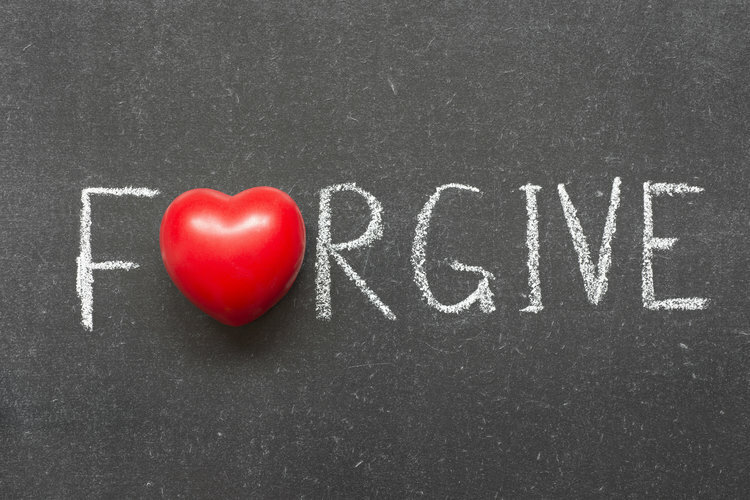 It’s common knowledge that forgiveness is often the best policy, but when you’re in the throes of a painful experience in which someone you love has done something terrible, it’s usually the farthest from your mind. It’s hard to separate forgiveness from the feeling of granting permission for the offense, but forgiving can be the silver lining to your damaging encounter. Today we’re helping discern when it’s ok to move on and how to make it easier to do so. BY THE WAY, if you need some support on your marriage, I offer a free call to help you clarify things- schedule it here! Take a look at what actually happened. Identify if the offense is a sensible or legitimate reason to be upset. If your friend came to you with the same situation, would you encourage him or her to respond the same way you’ve responded? Is the offense reprehensible or are you overreacting to a current situation based on past, unrelated hurts? Sometimes learning when to forgive someone is easier when you’re able to look at the offense objectively. If it’s not as horrible as your initial reaction led you to believe, you can move toward forgiveness much easier. Take stock of what’s happened and make a short list of the red flags you may have missed along the way. If you’re addressing an infidelity issue, reflect on the signals your partner may have sent to indicate a problem. Review what decisions you made along the way that positioned you where you are today. You can then make positive changes to your decision making moving forward. Knowing that you can learn and grow from a negative experience can help make your transition to forgiveness easier to do. Believe it or not, the act of forgiving is more about you than it is the person who’s wronged you. We often assume that forgiving and unforgivable act lends permission to the act itself or somehow lets the offender off the hook for having committed it. But actually, forgiveness is about forgiving yourself from the burden of pain, anxiety or hurt the wrong has caused you. It’s about deciding not to be held emotionally captive to the pain of the act. You allow yourself to move past the pain and in some cases, away from the person altogether. Keep your chin up. You may be in pain now, but the liberation of forgiveness is just around the corner. Take a look at how you can be objective, learn from mistakes and move forward. Remember, forgiveness more about freeing yourself turmoil and less about the offender or the act itself.